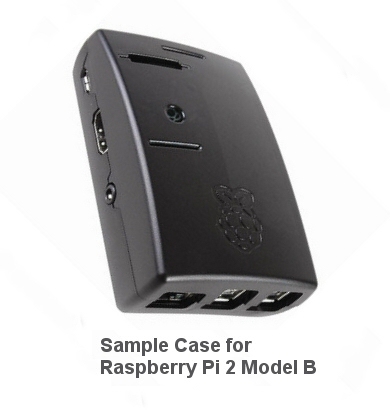 BULLETIN: For a limited time we are giving away a Raspberry Pi kit with every order that exceeds $1500 US value. If you have a geek in your household, this makes a great Christmas present, and a great learning experience too! Our Raspberry Pi® kit turns the raspberry Pi into a very capable home automation system; it can sit quietly away in a cupboard or basement somewhere because you can access it with any browser based device on your home WiFi network. It is also a very capable device for general computing purposes, with browser, email, office suite (Libre) and a lot more software pre-loaded. It can also draw on thousands of freely available programs in the Linux repositories; all you need to add is an HDMI computer monitor or TV, and a standard keyboard and mouse. It was originally designed as an educational tool by the Raspberry Pi Foundation in the UK (circa 2008), and it took the computing world by storm, selling over 2 million units in the first 2 years (they were expecting perhaps 10k in sales). 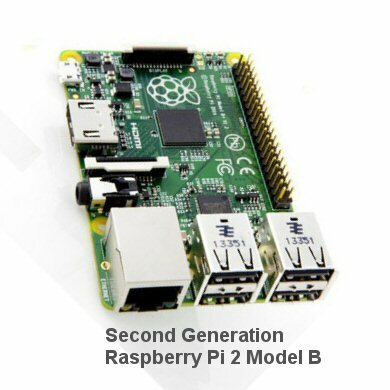 It has now evolved into a second generation product (Raspberry Pi 2 Model B), and it functions as an excellent home automation controller, comparable to other dedicated units such as Vera®, Wink®, Homeseer®, SmartThings®, etc. But it goes a step beyond those units because you can run the automation software in the background, even while doing word processing, email, spreadsheet and database work. It does not depend on the cloud for operation, something we feel is a very important consideration when setting up an automated system. Your home won't stop working just because a server is down somewhere or if the internet connection fails. Were were, quite frankly, very pleasantly surprised by its capabilities when we connected the Internet cable and booted it up for a first look. When you select the Raspbian Operating System, and it boots straight into a GUI (Graphical User Interface) at a very high resolution of 1080P, complete with browser, email program, Libre office suite, programming tools, text editor and a whole host of other features and programs. If you are a casual user of a laptop or Android device, this baby is a very suitable replacement, just as a general purpose computer. If you don't own a computer, the Pi would work just fine as your entry point into the world of computing. But our interest was in applying the Pi as a home automation controller, so we quickly moved on to Stefan Stromberg's brilliant OpenNetHome automation software. This software sets the Pi up as a web server on your local network, and you can access it with any browser on any device in your home, or from anywhere on the Internet (if you decide you want remote capability). After collaborating with Stefan for several months, we emerged from this exercise with a low cost system that can run any of our shade and blind motors, our window and skylight openers, and many other devices. This is a multi-purpose kit: if you just want to use it as a home automation controller, you can put it away in a cupboard somewhere and control your shades and other devices with any browser enabled device - phones, tablets, laptops, etc. Or, you can leave a monitor and keyboard hooked up to it and use it as a general purpose computer, while running the automation system in the background. Either way it's a win/win situation for you! This is not just a Raspberry Pi bare board, but a full kit. Just add a monitor, keyboard and mouse and you're good to go! If you have any questions about our limited time special offer, please feel free to contact us at any time!